Comedies often need more time than dramas to find their footing because they rely a lot on the personalities of the actors, especially if the show has a large ensemble. New Girl started with the focus mostly being on Zooey Deschanel’s Jess but it improved by leaps and bounds as the characters in the ensemble became more developed. 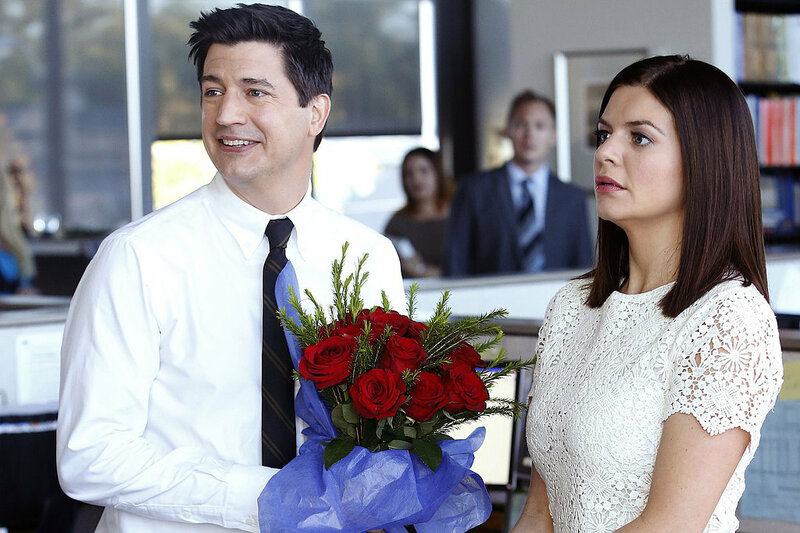 This summer, FX premiered two comedies, Married and You’re the Worst. I was in for Married before it even premiered based on the strength of its cast (Nat Faxon, Judy Greer, Jenny Slate, Brett Gelman, occasional guest stars John Hodgman and Paul Reiser) while You’re the Worst looked kind of stupid to me but since I’ll bail pretty easily on a show during its first few episodes and it was just a half-hour comedy, I decided to give it a go. You’re the Worst knew what it was from the beginning. A romcom that used the familiar beats of the romcom but inhabited it with interesting, funny characters. I liked the first episode well enough but by episode 5, “Sunday Funday”, I realized that I actually loved this show. Married was a very different experience. I’m still watching it but only because of the cast and because I’ve seen some glimmers of hope in the past three episodes or so. Judy Greer and Nat Faxon play husband and wife. She’s shrill and always complaining but he’s a lout who gives her every reason to complain. The writers seemed to have realized that we do need to see that these are two people who do occassionally enjoy spending time with one another because otherwise, why are they still married? Three kids is hardly a reason to keep a dysfunctional relationship together. The nice thing about today’s television landscape is that if you hear at a later date that a show that didn’t interest you at first has gotten really good then there is usually a way to go back and see the episodes that you missed. I mean, Sam and I are only just now watching The Wire and it ran from 2002 to 2008. There is the minor inconvenience of avoiding spoilers while you catch up but that’s really nothing. Unless you’re a Nielsen household, it really doesn’t matter when you watch a show. If you feel like there are too many shows and you’d rather just stick to the shows you already watch for now, that’s fine, too. Once your friends and the media tell you over and over again that you should be watching a show, it will probably still be there for you. 1. Just start watching a show when it premieres. 2. Give it at least three episodes unless you really can’t get through the episode that you’re watching. 3. If you don’t pick up on a show right away or bail on it only to hear that it later got really good (I’m looking at you, Marvel’s Agents of S.H.I.E.L.D. ), don’t worry; it will probably still be accessible to you at a later date. So go forth, wade through the new shows knowing half of them will probably get canceled, and hope that you find a gem or two to add to your regular rotation.